Bedford, Mass. – As Boston Red Sox fans return to Fenway Park for the second half of the baseball season, there will be a fresh addition to the ballpark – newly renovated family restrooms. Frank Webb's Bath Center and the Red Sox teamed up to renovate three family restrooms in Fenway Park to provide an enhanced family- and environmentally-friendly atmosphere. The restroom renovations are part of F.W. Webb's partnership renewal with the club and brands the Frank Webb's Bath Center division as the official sponsor of family restrooms at Fenway Park. Red Sox fans will immediately notice upgrades made in the restrooms, including high efficiency toilets and hands-free faucets. Along with the state-of-the-art fixtures, new, vibrant framed photos of children and families at Fenway add ambiance to the restrooms. Plaques adorn each renovated restroom stating, "This Restroom Was Designed for Your Family by Frank Webb's Bath Center." The renovated restrooms are located at the Home Plate Grandstand, Gate E and the bleachers. "The family restroom renovations provide easy access to the facilities for families of young children as well as physically challenged individuals," said Jeff Pope, president, F.W. Webb. "These renovations will not only add to the comfort and aesthetics of the family restrooms, the fixtures will also help conserve water, reduce energy use, and provide a cleaner, more sanitary bathroom for fans through hands-free operation. As a family-oriented company, we're pleased to be involved with Fenway Park in this unique way." Frank Webb's Bath Center is the retail division of F.W. Webb, the Northeast's largest wholesale distributor of products and equipment that help professionals build, maintain, repair, and operate homes and facilities. F.W. Webb has been the team's Official Distributor of Plumbing, Heating, Cooling and Industrial Supplies since 2006. Terms of the partnership extension were not disclosed. "For seven years, F.W. Webb has been a tremendous partner, and we are thrilled to build upon our relationship with the renovation of the family restrooms," Red Sox Senior Vice President of Corporate Partnerships Troup Parkinson said. "It's a great brand marriage to have one of the oldest companies in New England involved in enhancing the oldest operating ballpark in Major League Baseball. The family restroom renovations with F.W. Webb are just the latest example of the work that has taken place over the past 11 years to enhance Fenway Park and improve the fan experience." Frank Webb's Bath Center management worked with valued partner and supporter, TOTO, to select high efficiency EcoPower faucets, high efficiency toilets, EcoPower flush valves, and wall mounted sinks for installation in the family restrooms. Additional upgrades include custom "Green Monster Green" safety grab bars by Ponte Guilio and a Woodpro vanity. Residential models of all the fixtures and accessories installed at Fenway Park are available through Frank Webb's Bath Centers. To learn more about Frank Webb's 34 showrooms and the Fenway Park family restroom renovations, please visit www.frankwebb.com. With more than 30 convenient locations, Frank Webb's Bath Center is the leading expert in bath and kitchen fixtures and design in the Northeast. Showrooms offer more than 54,000 quality products, working displays, and experienced consultants available with or without an appointment. Frank Webb's Bath Center is a division of F.W. Webb Company, the Northeast's largest wholesale distributor of plumbing, heating, cooling and industrial supplies. To find out more please visit www.frankwebb.com. Since 1866, the F.W. Webb Company has been proud to offer outstanding products and services to residential, commercial, industrial and institutional wholesale customers throughout the Northeast. F.W. 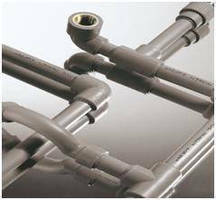 Webb is the region's largest distributor of products in a growing number of areas including plumbing, heating, HVAC, refrigeration, LP and natural gas, water systems, fire protection, valve automation and instrumentation, pumps, life sciences, sanitary, industrial pipe, engineered plastics, and fittings. With more than 75 locations, F.W. Webb's extensive inventory and dedicated fleet of trucks reach every corner of the Northeast. The company supports its delivery power with a network of sales professionals and support specialists with deep expertise in the industries it serves. For more information about F.W. Webb, please visit www.fwwebb.com. Toilet/Lavatory Combination meets ADA compliance code.